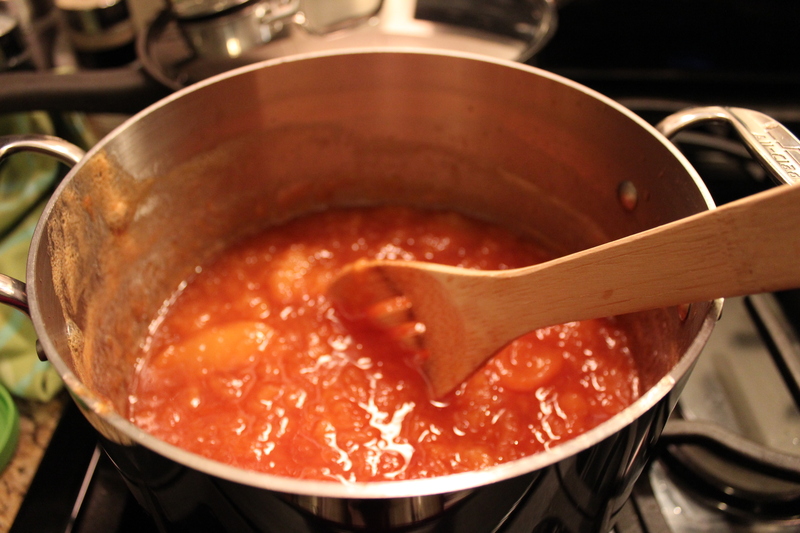 Last week, I made peach jam for the very first time. Corny as it may be, I can’t stop singing “We’re jammin” every time I think about this experience. It was fun and I loved doing it the way my grandmother would have without the pectin, using the “mess up your shirt, juice dripping down the arm” kind of peaches. 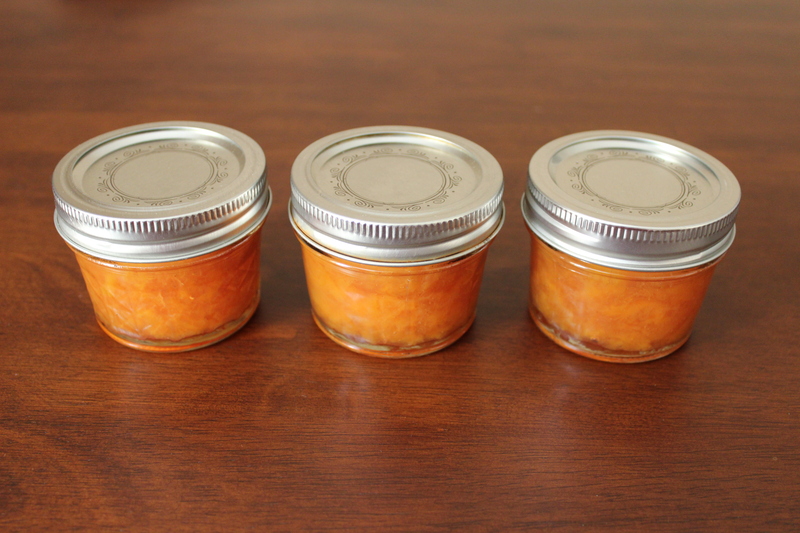 Just look at those little jars… aren’t they cute? I grew up seeing my grandma preserve peaches by the bushel – mostly frozen but some stewed and canned. 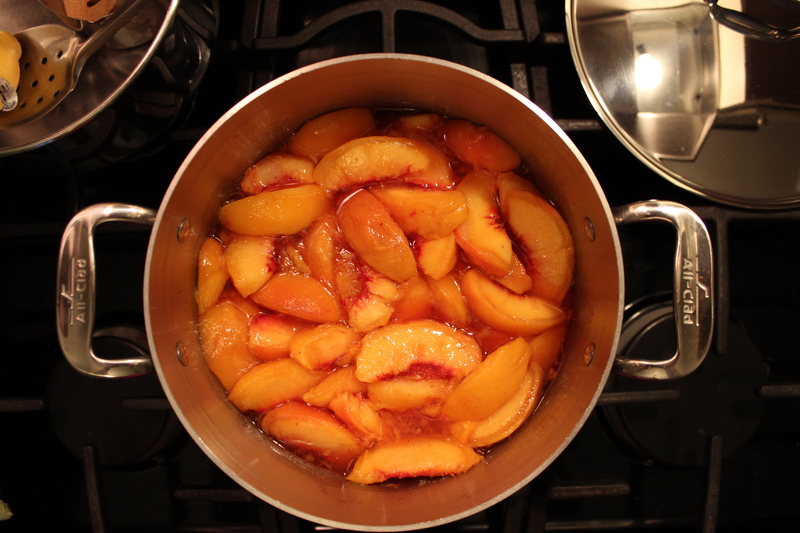 When I found a recipe from A Sweet Spoonful for old fashioned peach jam I had to try it. It was simple, pectin free and significantly lower in sugar than most of the other recipes out there. 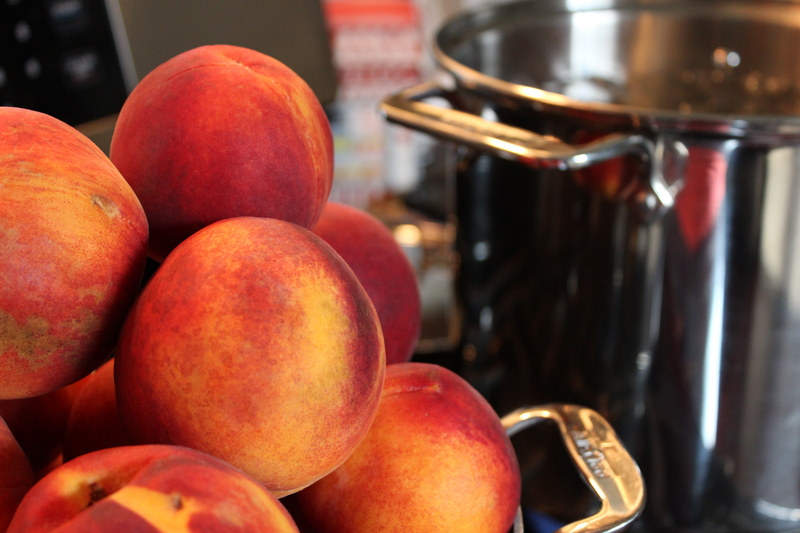 So it began… I found some delicious, incredibly fragrant Augustprince peaches at my local farmers market. I used the blanching method to get the skins off – you know the one where you score the fruit at the bottom, drop a few peaches into boiling water for a minute, then into an ice bath before effortlessly sliding the skins off? That one. I sliced the peaches and bagged the firmest ones to freeze. I added the sugar and lemon juice to the peaches and let it hang out on the counter while I took Biscuit for a walk and made dinner. I came back to a fragrant and irresistibly juicy mix that was ready to cook. In the blogger’s recipe, she says cook the peaches for up to 30 minutes. I’m guessing it’s because my peaches were a tad too ripe and super juicy but my batch took at least 45 minutes to cook down. Anyway, I jarred the majority of the jam and used a hot water bath to process them to be shelf stable. I refrigerated a couple jars to eat in the next few weeks. I’m very happy with the results! It’s not too sweet, so you can really taste the peach flavor. Have you had a good experience with making jam? Have a favorite recipe that’s not candy sweet? Please share in the comments.